And it’s even better than a straight sci-fi novel, in that the story is also about celebrating family, as quirky and dysfunctional as its members may be. The writing is evocative about possibility, fresh and tightly detailed, and the plot keeps zigging and zagging in a big-hearted way. The narrator, Sandeep Sanghavi, a mixed-race son of an Indian businesswoman and a famous American astronomer, travels with his mom from hotel to hotel, working as a consultant for her firm. He’s never had a home, and he yearns for something, but he’s not sure exactly what. Elizabeth Sanghavi, Sandeep’s mother, is a hard worker from a family of hoteliers. Van Raye, his father, is a nomad, too, still writing books on astronomy. 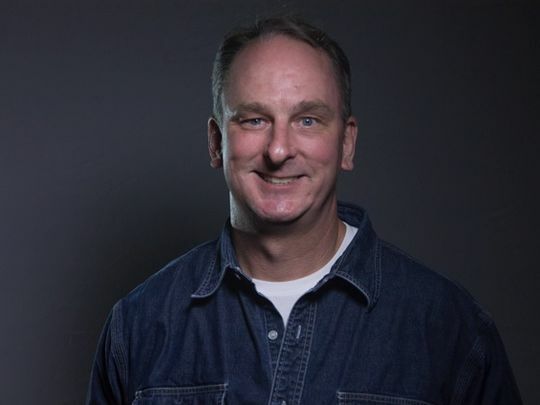 He’s hard drinking and has been divorced five times. Also, he’s called Sandeep for money from time to time. At the book’s opening, mom Elizabeth is waiting for Sandeep to help her with a crucial hotel closing, but dad Van Ray is calling for money again. But this call is different—Sandeep’s father says he’s discovered a big secret that will change their lives forever. Suddenly, Sandeep is getting strange messages on his cell phone that he at first thinks are pranks. These texts include lines from Elvis songs after he and his mom have just watched an Elvis movie. As well, the texts ask to be introduced to Van Raye. While the story unfolds, we find that there’s an alien, a vulnerable alien that Sandeep cannot see, touch, or hear, that desperately needs his help. Writer Franklin, who graduated from FSU’s creative writing Ph.D program, says he’d love to have a science-fiction audience for the book, but he thinks those fans would be left a bit short. The rest of us are lucky on this account. The story’s real charm is the way the North Florida relatives on Sandeep’s father’s side make Sandeep feel alive. “The book is more about the family than the alien,” he said. “I wanted to explore the ultimate unwanted house guest” among family members, Franklin said, speaking of the alien. In flashback, the narrative reveals how Sandeep first comes to Florida as a 9-year-old, and is smitten with our neck of the woods on the Forgotten Coastal area. Franklin says the book deals with his great anxiety over taking care of small things. Franklin was a Wallace Stegner Fellow in Fiction at Stanford University, as well as a Kingsbury Fellow at Florida State University. The novel includes Franklin’s interests in math, physics and literature. And he makes it all seem fun. Mary Jane Ryals teaches writing at FSU and is at work on a sequel to “Cutting Loose in Paradise.” She won the award-winning novel Cookie & Me. Where: Waterworks, 1133 Thomasville Road. It’s free and open to the public but you must be 21 or older to enter Waterworks. Fortner is selling copies of his instrumental album for $10 a pop. 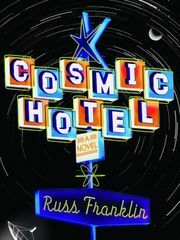 “Cosmic Hotel” by Russ Franklin, Soft Skull Press, is $16.95 paperback.